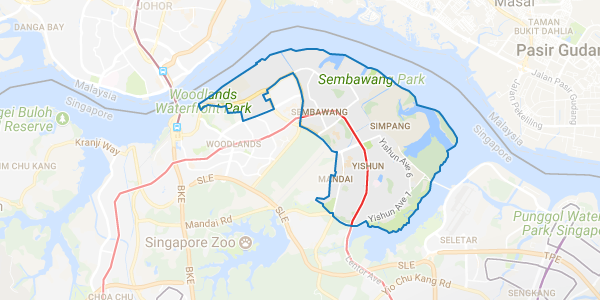 Singapore’s district 27 encompasses Sembawang and Yishun. Besides residential, some parts of Yishun are designated as industrial use. Yishun and Sembawang MRT stations of the North-South Line are the options of public transportation in the district. These areas are also accessible via bus originating from Yishun and Sembawang Bus Interchange. Nearby amenities include the upcoming Northpoint City, Sembawang Shopping Centre, Sun Plaza and Northpoint Shopping Centre. Northpoint City is one of the largest shopping malls in the northern region and expected to come on-stream in 2018, offering over 500 retail and dining options. The mall integrates shopping, dining, learning, relaxation and community activities under one roof. Schools in the neighbourhood entail Wellington Primary School, Endevour Primary School and North View Primary School. Major private projects in this district include Orchid Park Condominium, The Estuary and Yishun Emerald.